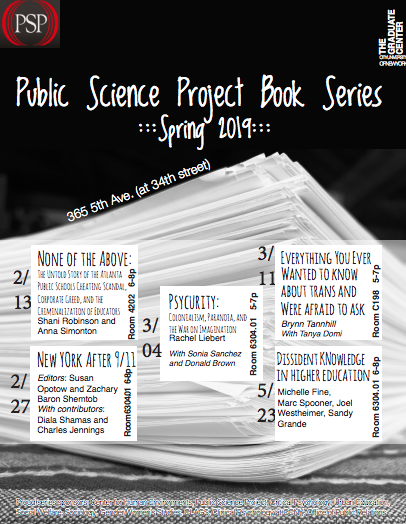 Environmental Psychology at The Graduate Center » PSP Book Series! « Book Launch 2/21 Anthropology and the City! 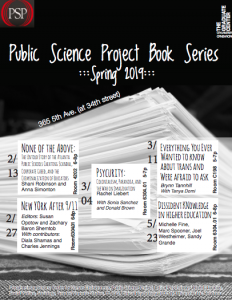 All are welcome to Spring 2019 Public Science Project Book Series Events! Please click here to see the schedule!